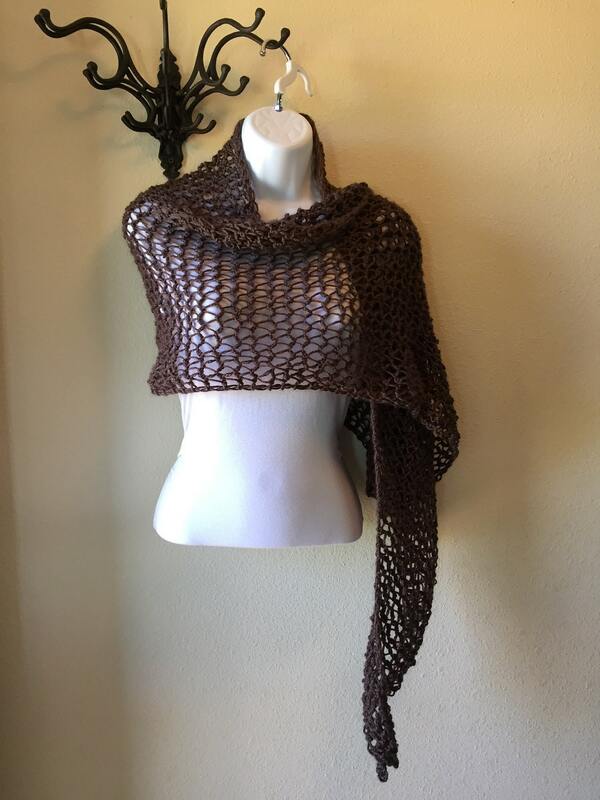 This triangular shawl is a open, airy design that is perfect for strolling down a country road on a summer evening. 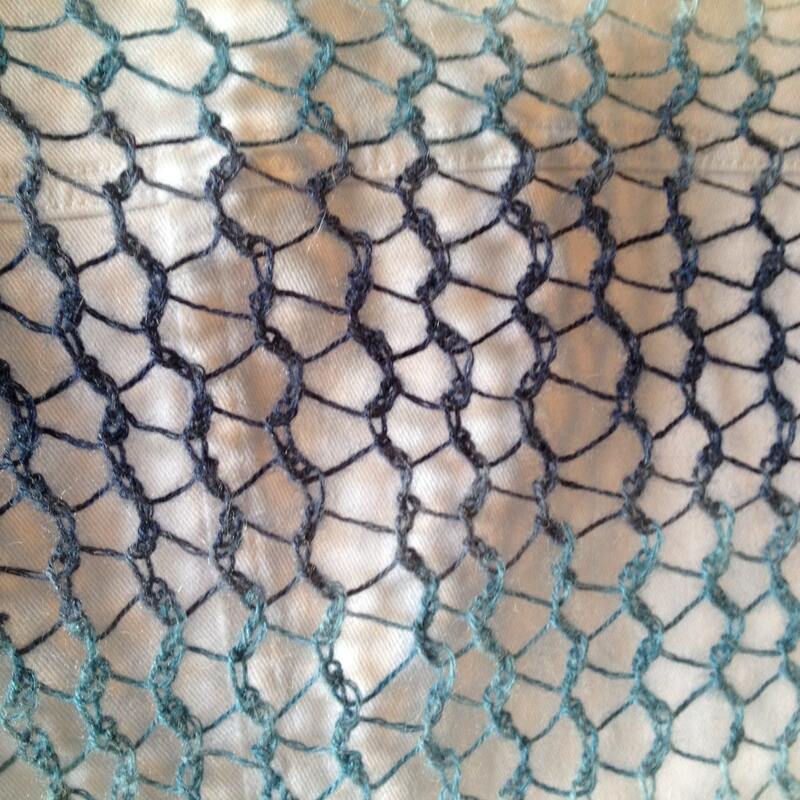 The mesh pattern even looks like a meandering road. 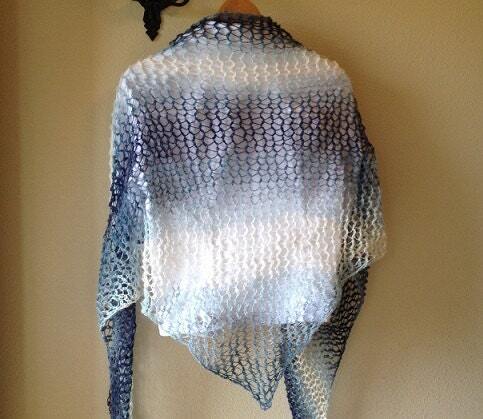 The shawl measures 90” from tip to tip and 36” at its deepest point. 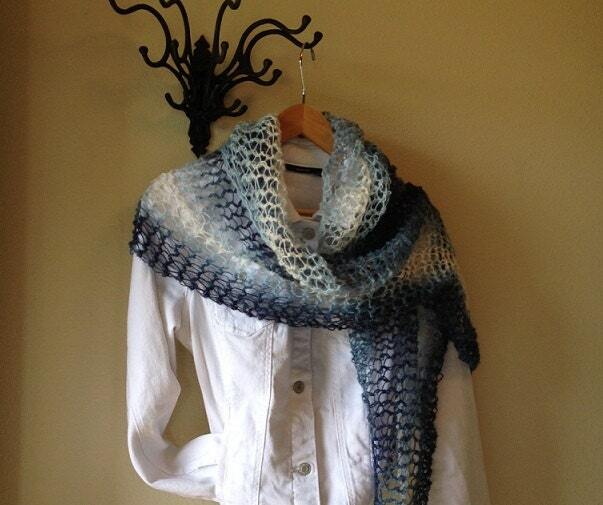 This shawl was knit on a Hobby Lobby Serenity Loom. This loom has an approximate 3/4” gauge (distance from the center of one peg to the center of the next peg) and 138 pegs. If you choose to use a different gauge loom, the fabric will change accordingly. 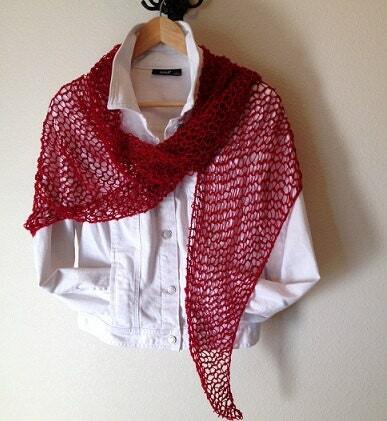 The shawl was knit using just one skein of Patons Lace (a lightweight, #2 yarn) in Porcelain. The pattern is suitable for an advanced beginner and comes with step by step pictures and instructions to help the novice knitter. The pattern is ready for download now as a PDF file.